Now that it is finally summer break, everyone has more free time to spend doing fun activities, and what can be more fun than catching up on all of the shows you have been putting off. I know that after finishing a series, it is common to feel lost and have no idea what show you should be watching next. Luck for you, I have six suggestions that will keep your break interesting. This is one of my favorite shows, and the light-hearted comedy should be added to everyone’s watchlist. 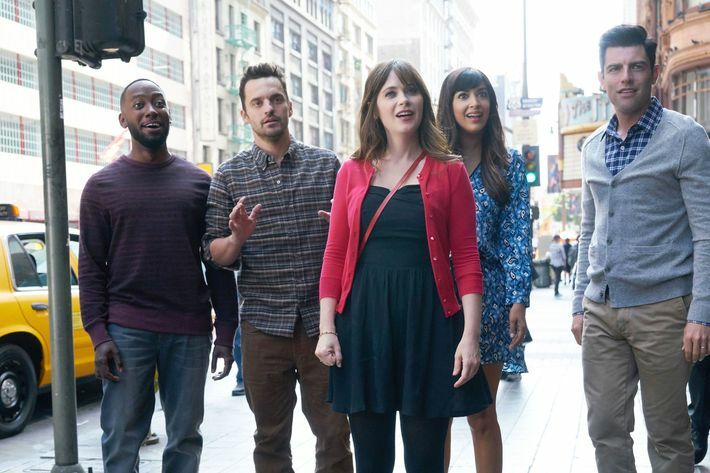 New Girl stars Zooey Deschanel as Jessica Day, an awkward upbeat teacher who responds to a Craigslist ad and moves in with three guys, a player named Schmidt, Nick, the bartender, and Coach who later is replaced by the character Winston in the second episode, after she catches her boyfriend cheating with another woman. Although the boys are strangers at first, they help Jess move on with her life, and the group along with Jess’ best friend, Cece form a dysfunctional family bond as they navigate whatever life throws at them while keeping the audience laughing. All previous six seasons are available on Netflix, and the final season is wrapping up later this month on FOX, so this is the perfect time to start binge-watching the show. The Marvel based original follows the title character, a former superhero with super-human abilities turned private investigator after a short career. Played by Krysten Ritter, Jones does want to be a good person, but her primary focus is surviving New York. But as she tries to reconstruct the pieces of her life, a new case brings back a villainous individual from her past. The series captures viewers with actors who flawlessly step into their roles and an honest portrayal of a woman battling previous trauma as she strives to move forward making it a must watch. Netflix recently added the second season so you can start watching and find out for yourself how Jones combats not only combats the villain but her issues. The title of this next show might have triggered you, but if some people stopped allowing the name prevent them from watching, they would realize how interesting and intriguing the Netflix adaptation really is. The plot is based on a movie with the same name and centers on a group of black college students attending Winchester University, a primarily white-dominated Ivy League school. The story perfectly mixes humor and irony to shed light on social injustice, racial bias, and misguided activism. It is important, with the issues the world is facing nowadays, to speak openly about matters plaguing society and not be afraid to pay attention to these subjects. Dear White People is too fascinating to only be judged by the title, so don’t allow that to be your excuse for not watching the show. Created by the talented Tina Fey, this comedy follows the life of Kimmy Schmidt, who is saved from a cult run by an insane reverend after being held hostage with three other women for 15 years. Her first decision upon getting recused is to move to New York, where she learns how to be a part of society again. With characters like Kimmy, her roommate Titus, Lillian, the landlord, and Jacqueline, her employer turned friend, this show will have you dying from laughter from beginning to end. All three seasons are currently available to stream on Netflix, and you only have a few weeks to catch up with the show before the first half of the fourth and final season premieres May 30th. This show is definitely one of the most talked about things to come out of Netflix and has launched the young actors who star it straight into mainstream popularity. If you still haven’t watched the series at this point, I’m shaking my head disapprovingly at you. I didn’t watch the series myself until last winter because people tend to overhype things, so I rarely trust the popular opinion. But when it comes to Stranger Things, it definitely is worth all hype. The Netflix original opens with Will, one of the main characters, going missing without a trace, and in his place, a girl with a shaved head appears seemingly out of thin air. As it throws mystery, Eggos, the supernatural and many twists your way, this show will have you glued to your screen, and lucky for you, there is still time to get caught up before the third season comes out. Now that I have guilted some of you into watching Stranger Things, it is time for me to admit my own deep dark secret. I have never watched The Office. Yes, yes I know. I can already hear the gasps a couple of you let out after reading my confession. My brother, Danny is already on the brink of disowning me if I don’t start watching so this show is written on my personal watch list. The UK version of The Office helped build the foundation for the mockumentary which paved the way for the US version to be cemented as an important aspect of American pop culture. The series showcases the normal lives of office employees which involves not so normal behavior. All nine seasons are on Netflix, so there is no better time than the present to complete the series. I will be watching, and so should you. Whether they are Netflix originals or shows that started out on another network, these series will have you not wanting to leave the comforts of your bed. I know that some of you still have to work during summer break, and these shows can provide you a nice escape from reality. We all deserve a break from time to time, even if it is a 30 minute one.